Bitcoin is a decentralized digital currency created by the pseudonymous entity Satoshi Nakamoto. It is subdivided into 100-million smaller units called satoshis. It is the most widely used alternative currency,with the total money supply valued at over 100 million US dollars. Bitcoin has no central issuer; instead, the peer-to-peer network regulates Bitcoins’ balances, transactions and issuance according to consensus in network software. Bitcoins are issued to various nodes that verify transactions through computing power; it is established that there will be a limited and scheduled release of no more than 21 million coins, which will be fully issued by the year 2140. 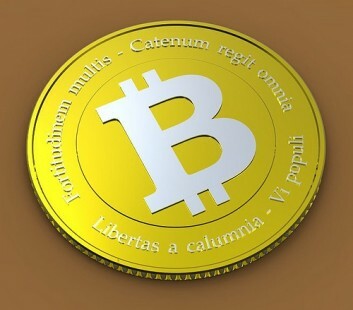 Bitcoin is administered through a decentralized peer-to-peer network. Cryptographic technologies and the peer-to-peer network of computing power enables users to make and verify irreversible, instant online Bitcoin payments, without an obligation to trust and use centralized banking institutions and authorities. Dispute resolution services are not made directly available. Instead it is left to the users to verify and trust the parties they are sending money to through their choice of methods. Internationally, Bitcoins can be exchanged and managed through various websites and software along with physical banknotes and coins. How to be a part of an alternative independent financial network, how to be an international bank with the help of graphic card, how to make some money, and how to change the world? All that you can find out at the Vjekoslav’s lecture about crypto currency and Bitcoin technology. Vjekoslav Radišić – Born in 1978. Lives and works in Beli Manastir. Activist, entrepreneur and dog owner. Besides participating in different citizens initiatives, he researches new technologies which are empowering human freedom, as are crypto-currencies and DIY 3d printing. He also practicises and believes in learning through coaching.